Supplementation with cinnamon has been found to lower blood pressure in pre-diabetic and diabetic people. Cinnamon combined with magnesium, diet and lifestyle changes may lead to overall reductions in blood pressure up to 25mm Hg, a reduction lower than any hypertension medication can achieve without side effects. Data from 22 trials with magnesium supplements revealed that the mineral may reduce systolic and diastolic blood pressure, researchers from the University of Hertfordshire report in the European Journal of Clinical Nutrition. Combined with diet and lifestyle changes, magnesium and cinnamon supplementation may lead to an overall reduction of up to 25mm Hg more than any hypertension medication in the world with the advantage of no adverse effects. Valued in ancient times as currency and once considered more precious than gold, cinnamon — one of the world’s oldest known spices — has one of the highest antioxidant values of all foods and its use in medicine treats everything from nausea to menstruation and energy to diabetes. “Cinnamon itself has insulin-like activity and also can potentiate the activity of insulin. The latter could be quite important in treating those with type 2 diabetes. Cinnamon has a bio-active component that we believe has the potential to prevent or overcome diabetes,” researcher Don Graves said in a prepared statement. When it comes to the highest antioxidant values on the ORAC (Oxygen Radical Absorbance Capacity) scale, cinnamon comes in third only lower than clove and sumac. ORAC units or “ORAC score” were developed by the National Institute on Aging in the National Institutes of Health (NIH). While the exact relationship between the ORAC value of a food and its health benefit has not been established, it is believed that foods higher on the ORAC scale will more effectively neutralize free radicals. According to the free-radical theory of aging, this will slow the oxidative processes and free radical damage that can contribute to age-related degeneration and disease. Numerous studies have reported that cinnamon and the compounds it contains may improve parameters associated with diabetes. The meta-analysis, performed by scientists from the University of Toronto (Canada), the University of West London (UK), and London South Bank University (UK) is said to be the first to evaluate the effects of cinnamon on blood pressure in diabetics. Cinnamon alone without any diet and lifestyle changes is associated with reductions in systolic and diastolic blood pressure of 5.39 and 2.6 mmHg, report scientists in Nutrition . Out of a possible 93 identified studies, Dr Akilen and his co-workers limited their meta-analysis to only three randomized clinical trials, two of which included diabetics while the third was with pre-diabetics. The doses of cinnamon used in the studies ranged from 500 mg to 2.4 grams per day, and all the studies lasted for 12 weeks. Crunching the numbers yielded the result that cinnamon intake was associated with significant decreases in both systolic and diastolic blood pressure. “In summary, this meta-analysis of three RCTs indicates that the consumption of cinnamon (short term) is associated with notable reduction of systolic and diastolic blood pressure in patients with prediabetes and [type-2 diabetes],” they wrote. Here are links to information on an all natural solutions that literally reverse Cardiovascular and Cardiopulmonary Disease. Interestingly combining natural foods and herbs is scientifically being shown to be the most effective. The added bonus is, the side effects of all natural solutions are better health not a myriad of additional health concerns. Take a look at http://www.heartpro.me/ It will give you a really great overview of the science as well as the benefits. This study shows 33 of 33 participants all getting significantly better results than those derived from invasive and pharmacological treatments.Getting the body to produce Nitric Oxide itself through supplementation doesn’t just reduce symptoms, it actually reverses damage though out the whole body. High Desert Heart Institute Clinical Trial of The #1 All Natural Solution to Cardiovascular, Cardiopulmonary Disease and so much more. Below are a couple of videos I really encourage you to watch. This very knowledgeable fellow gets rid of a lot of the myth and explains the realities. It is less than an hour in total but he sums up all the bits and pieces plus more that = a really great education in a short amount of time. The product he alludes to but does not identify is Pro-Argi9+, He also explains Vitamin D. 4 Scoops of Pro-Argi9+ will give you 10,000 IUs’ day. in the US and 4000 IUs in Canada. ****Reposters Note – Thank you to Katie – Wellness Mama for this excellent post, 101 Uses for Coconut Oil. 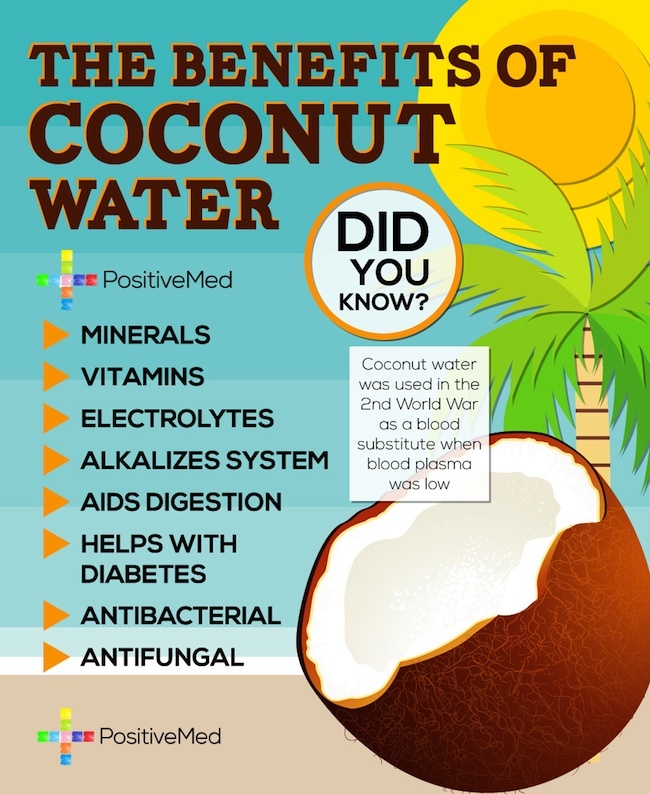 Coconut Oil is one of those choices that is sure to benefit everyone who chooses to add it to their diets. Coincidentally, it is as good for us externally as internally. Add to that, it is an excellent all natural tool for all sorts of little jobs around the home. It is truly astonishing how many (not so natural) products it can replace in your cupboard, medicine cabinets and around the home. You can also check out my recipe index or Start Here Page for many more recipes that use coconut oil! What Kind of Coconut Oil? For external uses, expeller pressed or other types of refined coconut oil will work, but for internal use, an unrefined virgin coconut oil is best. My husband and I both take about 4 tablespoons a day and the kids get a couple tablespoons in food, smoothies, or hot herbal tea. LIFE IS LIKE A BOX OF CHOCOLATES – YOU NEVER KNOW WHAT YOU WILL GET. Do You or Someone you know suffer from High Blood Pressure, High Cholesterol or Diabetes, Heart Disease, or Circulatory problems…………..? Join me at a FREE SEMINAR to get answers and real solutions on Wed Oct 2, 2013. Dan Austin – Critical Care Coordinator of the High Desert Heart Institute is gracing us with his presence and his knowledge. The High Desert Heart Institute,a very respected CARDIOVASCULAR HEALTH PIONEER that leads people to totally REVERSE Cardiovascular Disease without surgical intervention or pharmaceuticals. Dan will be talking about the fantastic results they are observing in their patient base. He will be showing us exactly what we need to know and do so we can reap those same benefits. Invest 90 minutes – and be rewarded with the tools backed by science, that when used, REVERSE Heart Disease and a myriad of other Health Conditions. BETTER YET. PREVENTION Tips and Tools to guide us all to the HEALTHIEST FUTURE. Come Out and Be Informed. YOU OR SOMEONE YOU CARE ABOUT IS WORTH THE EFFORT! 7:30 – 9 PM REGISTRATION: 7:00 pm COST: Guests are FREE. Please feel free to invite your healthcare provider or other members of the healthcare community – this knowledge will be invaluable to them professionally and personally. For those of you who can’t attend due to distance – check out this link. Finally pretty much everybody is on the Coconut Oil bandwagon. It is so good for you. It can replace so many commercially produced and modified fats in our diets. It truly helps the body function better and leads to better health in every area. I love cooking with it as it handles heat very well. It adds a creaminess flavor-wise but very little is absorbed into the foods cooked in it. It adds a golden brown finish to fried veggies like mushrooms without burning them. It does not interfere with the flavor of foods any more than butter does. It is the perfect Stir-Fry Oil as a little goes a long way. I love to have Coconut & G rapeseed Oil as well as natural Butter in my kitchen for cooking. I love to have Coconut Oil in my home for all of its other uses. My favorite is adding 1/4 teaspoon in my bath for the last few minutes as it is a great skin softener and is very nourishing for the hair. For a bigger picture of Coconut Oil, please take a look at some of my previous blogs on this topic. Thanks to Positive Med for finding this great poster. See the bottom of this post for information on an all natural product that works like Draino for the Circulatory System – The information and suggestions in this re-posted article that follows are excellent but for many it will not make a big enough difference to eliminate or reduce prescription drugs, but the solution at the end of the post can. More than 50% of the population will suffer from Cardiovascular Disease. It is the #1 cause of death and kills more people annually than the next 6 causes combined(Cancer included). Circulation problems occur when the blood flow is limited to parts of the body such as hands, feet, brain, heart, and lungs. Plaque builds up in our arteries and causes the restriction of blood flow and hardening of the arterial walls. Some of the diseases that can be caused by this include hypertension, stroke, varicose veins, Raynaud’s phenomenon, blood clots, kidney disease, heart disease, and peripheral artery disease. Effects upon the brain – poor blood circulation can impact the brain causing fatigue, dizziness, memory loss, and frequent and unexplained headaches. Effects upon the heart – poor blood circulation can have an impact on the heart, causing inability to perform simple aerobic activities like climbing stairs without breathlessness; high blood pressure and cholesterol, and chest pain can be other symptoms. Heart attack and stroke are major risks of poor circulation that remains untreated. Effects upon the liver – symptoms of poor blood circulation in the liver can include lack of appetite or unexplained weight loss, and changes in skin tone. Effects upon the kidneys – poor circulation to the kidneys are typically the result when there is swelling of the hands, feet and ankles. Other symptoms can include fatigue, altered heart rate and rise in blood pressure. Effects upon the limbs – with poor circulation, cramps in the limbs, numbness and varicose veins can appear as symptoms. Medical problems that can cause contribute to poor circulation include smoking, anxiety, diabetes, high cholesterol, weight gain, high blood pressure, heart problems, anemia, asthma, food allergies, bronchitis, pneumonia, emphysema, eating disorders, and many others. A doctor will need to determine the cause before administering treatment. Mild cases can be improved with aerobic exercise and diet. A person should exercise regularly and eat a low-fat high-fiber diet. If the person has mobility problems due to a stroke or something similar regular assisted range of motion exercises will help. Foods that improve circulation are fruits, especially those rich in Vitamin C and lycopene, think citrus, watermelon, and tomatoes, nuts, which are rich in Vitamin B3, garlic, and avoiding fatty and sugary foods. Diet and exercise should be used at a pace you are comfortable with, in severe cases they should be used in conjunction with your doctor’s plan and advice. Inform your doctor of any changes you are making to diet and exercise. ***A great natural product that I have spent a lot of time researching and have clients using with great success at reversing Cardiovascular Disease is Proargi 9+. It works like Draino in cleaning out plaque even in our smallest of blood vessel. With added blood flow, oxygen and nutrients to every part of the body, our body works better so can and does repair itself over time. Ladies – We now suffer more heart attacks than men! Heart Disease can be reversed. ProArgi-9+ is one of the best products I have ever experienced. It changes Lives! It is simple, easy and works for both men and women! Contact me (Deb) at allaboutwellness@mail.com for more info. My other posts on this topic. https://allaboutwellnesssolutions.wordpress.com/tag/cardiovascular-system/ . Cardiovascular System – The science and real world studies on ProArgi-9+. So good for us – drink it, cook with it, add it to other beverages or shakes. Nice little video – Enjoy! Thank You to The Sundance Family for the video. My Oxygen Spa, My Favorite Thing!